With both girls on Spring Break, this past week felt like it would last forever! Don’t get me wrong, I love spending time with my daughters but their never-ending source of energy left this mama begging for a break. This is where my husband usually comes to my rescue but unfortunately I’m playing ‘single-mom’ while Dad is away for work. However I am grateful to have a neighbor and sitter available to watch the girls for several hours which allowed me to attend the Nuun Seminar and get my interval run in for this week. When I received a notification email from the CEO himself, Kevin Rutherford regarding an opportunity to listen and learn from a world renowned exercise physiologist/nutrition scientist, Dr. Stacy Sims speak about sports nutrition, I couldn’t pass it up. Plus I also wanted to find out more about nuun’s new product, Performance. Kevin, the ‘Chief Eternal Optimist’ of nuun placed an emphasis on supporting the Clean Sport Collective. He even made a point to use the hashtag #cleanmatters so it trends in the social media channels. With all the recent doping scandals, uniting to support clean athletes is even more significant. The seminar was more of a Q&A session with Kevin as the facilitator to start the discussion. I took plenty of notes as Dr. Sims dropped a barrage of knowledge bombs! Stay tuned for a future post to cover the interesting points Dr. Sims discussed. My biggest takeaway? Water is not enough for optimal hydration. The right balance of water and electrolytes (mainly sodium and glucose) is needed for the body to absorb water. Otherwise plain water goes straight to the bladder and have you running to the restrooms instead of the finish line. For intense workouts, fluid absorption is even more critical for proper hydration. And this is how nuun Performance was specifically formulated. During training, I usually schedule recovery weeks every fourth week. However, I moved it to a week later (fifth week) to coincide with my girls’ week off from school. My 3yr old goes back to preschool after Easter but my 6yr old still has another week off. Fortunately the YMCA had a few openings for a Monday and Wednesday camp. So how did my training go? Hardly any running, sad to say. 10Mon – I opted to skip an easy run due to slight strain in my right foot. Better I stay off it and see how it felt the following day. Instead I focused on strength training and worked on multiple joint exercises with dumbbells. 11Tue – Decided to go on my usual night intervals with Movin Shoes. While I still felt soreness, it didn’t hurt to run even at a faster pace. The workout was a 6x5min with 1min rest. I forgot to wear my Garmin so I had to carry my phone to track my pace and time. Coach had us work on a pace that can be progressed to a fast finish. It’s good practice to what we should be doing when in a race – Start conservative and finish fast. And that’s what I accomplished! I knew I wouldn’t have the luxury to go for a run but I did pack my TRX. Love how it packed perfectly into the side pocket of my duffel bag. So I woke up early on Thursday and Friday and found a 30min TRX workout on youtube. 14Sat – 8mi run. I felt lethargic during the run most likely due to improper nutrition. I don’t think I ate enough the night before and the morning of. Halfway through the run, I circled back to where I parked my car to take a small bite off the bar I brought and finished my planned miles. It was tempting to just jump in my car and call it a day, but after several days of not running, I needed to be out at least to enjoy the morning (sans girls). What are your thoughts on only drinking plain water for hydration? What’s your go-to sports drink for intense or long workouts? I am connecting with Holly and Tricia for their Weekly Wrap. Thanks for the support ladies! I got hooked on Nuun a few years ago! Feeling the salt on my face after a race I know water is not enough. That Lego sculpture (is that what you call it?) is so cool! Lego creations are amazing! They are fascinating! I love the minilands they created. 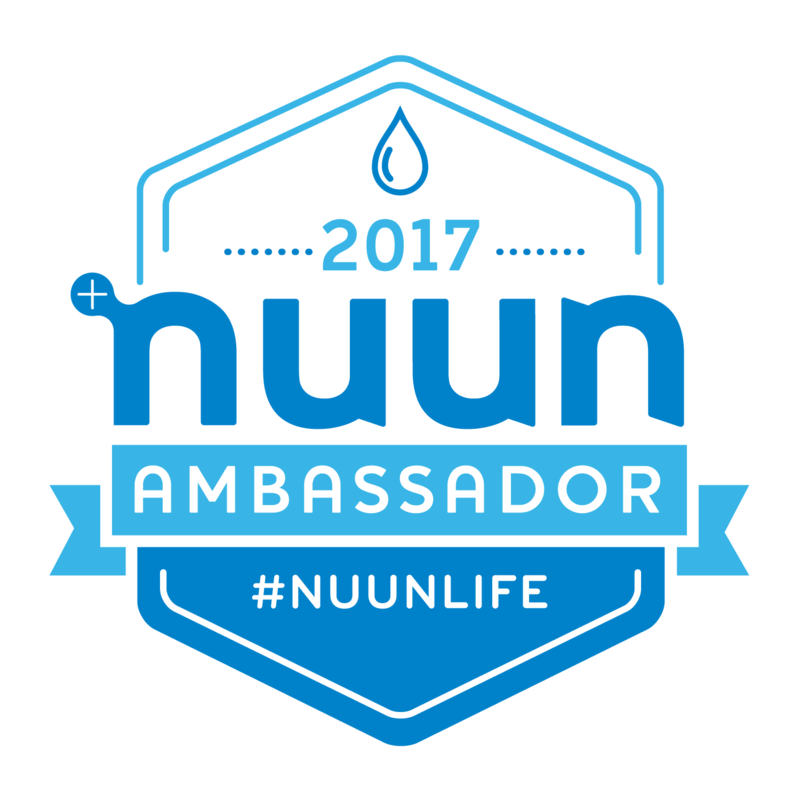 Good to hear you’re satisfied with Nuun – love their product! I drink plan water, nuun or an electrolyte powder from NOW Foods. all seem to work well. When I drink plain water I’m also fueling with something else to maintain my electrolytes! I’m a Nuun Ambassador and I just got my a pack of the new performance one.! I will try it out in my next race. I was unable to attend the webinar but hope to listen to a replay on it. I am very happy with Nunn and their products! What’s the longest you’ve ran with only water? Did you feel ok throughout the run? I love Nuun. My body doesn’t react well to just water while training or racing. I need some extra something something to keep me feeling strong, and Nuun is one of my go-to’s. School holidays can be tough on the workout routine. Hope things are back to normal soon! I’m excited about their new product! Will try it this weekend on my long run. My 3yr old is back in preschool and had my older one in camp for a couple of days so I had time to run! That seminar sounds really interesting and so cool. I know I need to figure out my running schedule in the summer especially since Chicago marathon training will start then. What an interesting seminar to attend. I’ve tried Nunn a few times, and just can’t get myself to like the taste of it. Some of their flavors I’m not a fan of, so I stick to the ones I really like. I’ve been using Tailwind for over a year now on longer runs (I still drink water for short workouts). I like its light taste. I’m also sensitive to artificial sweeteners and have to read ingredient labels very carefully. My boys would have loved Legoland when they were little. That’s a fantastic surprise mini vacation for your kids. Thanks for linking, Elaiine! I’ve heard many good things about Tailwind. It’s definitely important to check ingredient labels and that’s what I like about Nuun – they make sure their ingredients are of the best quality. I do drink plain water for runs less than an hour. After that, I use Tailwind. I used to drink Nuun, but it didn’t provide the energy that I needed. Even at the seminar, Dr. Sims pointed out that Nuun is mainly for hydration needs and runners would have to take fuel separately to satisfy energy needs. I haven’t tried Tailwind yet but know a few people who use it and loves it, including you! May have to see if that can take care of my fueling needs. that seminar sounds interesting! I do wonder whether water is enough or we need more. It was very interesting. Water with a sprinkle of salt is actually better for the body to absorb – I’ve never put salt in my water! I know that plain water is just not enough for my hydration needs. I am using nuun active almost every day now. I am starting to appreciate the light flavors more and more. I like the Vitamin Nuun which I use almost everyday. I found out from the seminar that the ginger lemonade one tastes great warm like drinking tea – tried it out but mixed it with real ginger and loved it. That Nuun seminar sounds awesome! Great job on your workouts this week!